Jose Mourinho singled out "special" Scott McTominay but questioned the mental toughness of some of his other Manchester United players after a 3-1 defeat at West Ham. 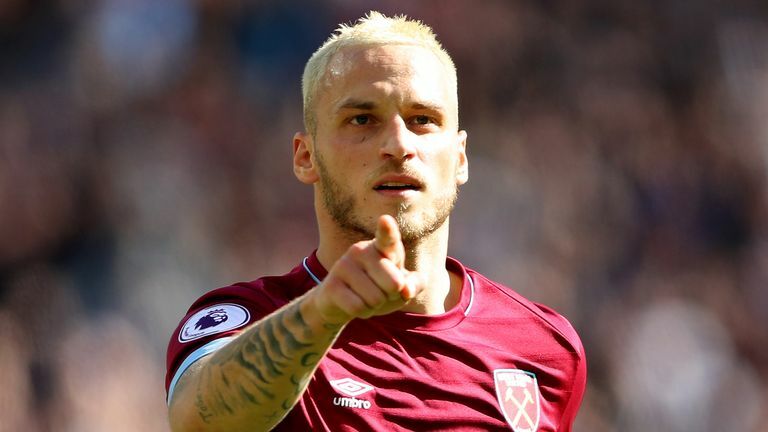 Felipe Anderson’s early strike, a Victor Lindelof own goal and Marko Arnautovic’s finish at the London Stadium rendered Marcus Rashford's flick just a consolation and condemned United to their worst start to a season in 29 years. Mourinho pointed the finger at the officials but, McTominay apart, admitted his side were also suffering from mental "fragility". The United boss said: "Scott McTominay is a kid with a special character, very humble, aggressive in a positive way, brave, he's a special kid. "He's a special character, a special personality that a team in a negative moment needs. Do my other players have that mentality? Not all of them. Everybody is a different person. "I can have complaints with the quality and mental approach we showed. You have to try always and that is my nature as a football professional. "We were a team that comes with that mental fragility of a bad result (the Derby match)," he said. "Coming here and after five minutes we were losing 1-0, which is not the best way to start. The goal was offside and, last Tuesday with the VAR, it would not have been a goal. "In the first half we had a good reaction but an own goal makes 2-0. An own goal where we knew (Andriy) Yarmolenko is very, very left-footed. We had to cover that side, we had (Nemanja) Matic on the ball and Luke Shaw and (Victor) Lindelof very close by, but we were not aggressive enough to close that shot and then we were losing 2-0." 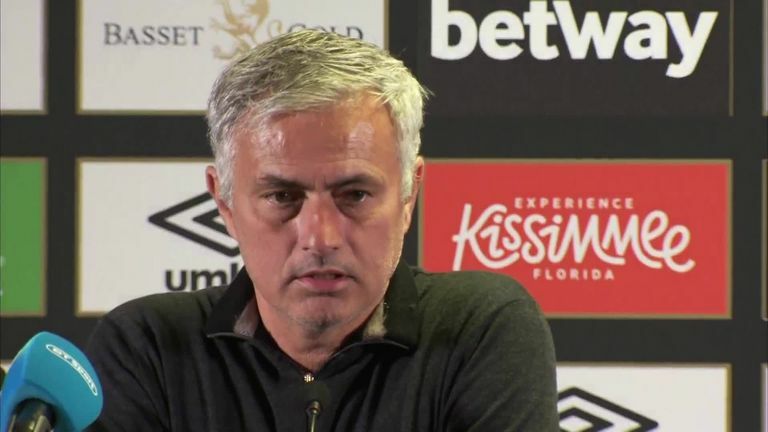 Mourinho's news conference was cut short before he had a chance to respond to questions about Paul Pogba following the tense exchange caught by Sky Sports' cameras in midweek. But he did take the opportunity to try and rally his side ahead of Tuesday's Champions League clash with Valencia. "For myself, speaking of my own feelings, I am really happy that we have a game on Tuesday," he added. "I am really happy that I now go to the train and I start immediately thinking about training tomorrow, about the match on Tuesday and I prefer that than playing next Sunday, with one week of these bad feelings. "I look forward to that match on Tuesday and I hope the majority of the players have this same kind of mentality, and that they are looking forward to Tuesday."